Filters remove allergens, particulates and contaminants from the indoor air you breathe. Your furnace, air conditioner and air cleaner include protective filters. To increase the performance of these filters, spray them with filter spray. The slightly tacky liquid adhesive helps the filters attract particulates like dust, pollen and dirt. While the spray is not oily, it does include a positive charge. The adhesive electrostatically attracts particulates that might otherwise escape the filter. Designed for residential and commercial filters, it works on washable and disposable filters but not on electronic air cleaner filters. To clean the filter, wash it with plain water. 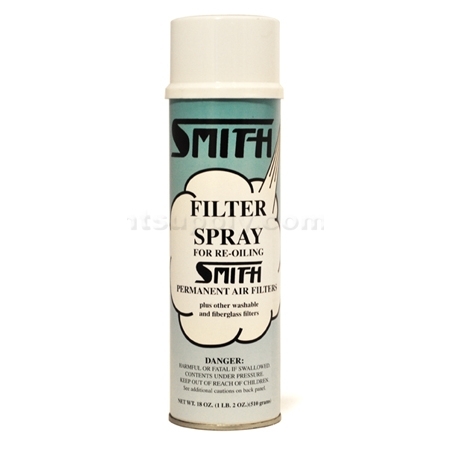 Increase the efficiency of your filters with filter spray.